Dave Allen is the Director, Insights & Digital Media at NORTH, a Creative Brand Agency that forges connections between brands and people using music, film, interactive and design. Some of NORTH’s clients currently include Portland General Electric, KEEN, Regence BlueCross BlueShield and Deschutes Brewing. As founding member and bass player for the post-punk band Gang of Four, and later a digital music consultant for Fortune Five Hundred companies, Dave Allen has been a frontline player in the music industry. Adjusting with industry evolution, Dave has been band founder, label owner, corporate advisor and a Digital Strategy pioneer. He has worked at companies such as Intel, eMusic and Nemo Design. Founder and CEO of IODA, Kevin guides the growth of one of the largest digital distributors of independent music in the world, combining his dedication to independents and his unique understanding of the digital music world to benefit IODA’s global client base. Wearing another hat, Kevin also directs Noise Pop Industries, which produces San Francisco’s internationally renowned Noise Pop Festival, which he founded in 1993, as well as the Treasure Island Music Festival and other Bay Area cultural events. Vince Bannon is responsible for the development and management of strategic partnerships integral to the growth of Getty Images‘ presence in digital media. He oversees the acquisitions of premium digital content, including Michael Ochs Archives and Pump Audio, and securing partnerships with content producers such as Gracenote, Rovi, Kobalt, and Sony/ATV. Matthew Barkoff joined Badgeville as VP Sales, Media and Entertainment where he is responsible for driving new business strategy and managing Media and Entertainment. With over 15 years of experience in start-up enterprise and SaaS technology companies, Matthew is working to help media companies drive engagement on websites and mobile using social loyalty techniques. Before joining Badgeville, Matthew was Vice President of Sales, Media & Entertainment at Clickability, where he led the team to 20x revenue growth. He has served in various business executive management positions at 7 start-ups including Cadabra Inc. (acquired by Overture in 2000 (formerly GoTo.com)) where he was Director of Business & Corporate Development, and Netmosphere (acquired by Critical Path in 1999) where he was Director of Enterprise Sales. 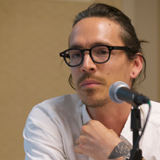 Having sold over 13 million albums worldwide, Incubus‘ extraordinary career has spanned over a decade, and includes six studio albums, which have spawned a total of thirteen Top 10 Rock hits with four singles debuting at #1 upon their release. The multi-platinum quintet’s last studio album Light Grenades debuted at #1 on Billboard’s Top 200 (highest charting album debut of band’s career) and has sold over 800k copies to-date in the US. Antony Bruno joined Billboard in 2005 to cover the emerging field of digital media-including all digital music services, devices, and technologies as well as videogames, mobile and social networking-for both the weekly print magazine and online at www.billboard.biz. He also oversees the programming activities for Billboard’s digital-related conferences and panels. Before joining Billboard, Bruno was Assistant VP of Wireless Internet Development at CTIA-The Wireless Association. Previously, he was Senior Writer with RCR Wireless News, where he spearheaded the trade newspaper’s wireless Internet coverage. For the past 13 years, Joe and his talented team have placed Hal Leonard at the forefront of the digital revolution, providing quality, legal content – print music, lyrics, streaming audio & video lessons, trade books and much more – on demand, via every viable new digital delivery channel. Joe is charged with exploiting Hal Leonard’s digital assets by working with in-house staff, as well as third party technology companies, to create new and innovative products. Jonathan Carroll is the Music + Community Manager at Gowalla, where he helps build a service which inspires people to discover and share amazing experiences with their friends. On the music side, he works with artists and labels to integrate music experiences into Gowalla, not only on at shows and concerts, but also as a means of digital music distribution. He handles all things involving community, including events, the Gowalla blog, interacting with Street Teams, and helping build the user base around the world. U.S. patents and a B.S. in Computer Engineering from the University of Michigan. Jean Cook is a musician, producer and Director of Programs for Future of Music Coalition (FMC), a national nonprofit that works to improve the lives of musicians through research, education and advocacy on policy issues that directly impact the ability of artists to make a living and reach audiences. She is a founder of Anti-Social Music, a New York-based new music collective. She currently records and tours with Ida/Elizabeth Mitchell, Jon Langford, and Beauty Pill. For FMC, she currently project directs initiatives to fix jazz and classical music metadata; understand how copyright impacts indigenous artists in places like Ethiopia, Tajikistan and Australia; and map how US artist income streams have changed in the digital age. Chris Curley is Manager of Business Development at HFA, the nation’s leading provider of rights management, licensing and royalty services for the music industry, representing over 46,000 music publishers. He is responsible for identifying, evaluating, and developing new business opportunities, particularly in the area of digital music technology. This includes navigating rights administration and management issues with some of the most significant players in the digital content supply chain. Curley also oversees the implementation of these new arrangements through HFA’s business processes. Among his accomplishments at HFA, Curley was instrumental in contracting some of the industry’s most high profile game-changers in the areas of download, streaming, lyrics, and guitar tablature licensing. He was also key in developing HFA’s Administration Services program, which provides outsourced solutions for major digital music services, content aggregators and record labels. In addition, Curley works closely with The Recording Academy to help provide voting members access to its annual GRAMMY listening service. In 2002, Curley started his career with HFA in its Licensing Department. He specialized in Label Relations, managing day-to-day relationships with major record labels. Curley was also a principal in the development and implementation of the company’s digital licensing systems, including bulk licensing, eMechanical and Songfile. Zack Darling began his career as an independent event producer in the North Bay and San Francisco, where he cut his teeth in the dynamic underground and later professional rave scenes. In 1999, Zack co-founded the Mystic Beat Lounge, a new kind of production company that merged live concerts, DJ sets and performance theater (ala Cirque du Soleil), with 21st century visual effects, to create large-scale maximum multi sensory concert experiences. In this time, Zack also produced many successful music events in clubs and other smaller venues through his nightclub, Decadance. Today, under Zack’s leadership, the Mystic Beat Lounge is best known for the Techno-Tribal Dance, a cutting edge production that coincides with the Harmony Festival, the largest music festival in the North SF Bay Area. Over ten years, Techno-Tribal has developed into an annual sold-out 7,000+ attendee, over-the-top production characterized by cutting edge sound and visual technology with live DJs, electronic music producers, bands, fire theater, acrobatic and aerial performances, inflatables, and an interactive live-art zones. Zack is also the night time production manager of the Harmony Festival, and oversees all of the festival’s after dark productions. Zack works with other producers as an event designer and consultant such as Earthdance Festival, Sea of Dreams, Burning Man, and many others. He has worked for Burning Man festival for 9 years and for the past 5 years, he has served as the North Bay Burning Man Regional Contact. Martyn Davies is a creative technologist and product manager from London specialising in building cool things with open data, music data and APIs through his company Six Two Productions. Previously he was Product Manager for Innovation at Universal Music Group and a producer and product manager at BBC Radio 1, BBC Music and BBC Introducing. Follow on Twitter: @martynrdavies. An executive with both record company and artist management background Bruce Flohr started his career with RCA records. As Senior Vice President of A&R Bruce signed the Dave Matthews Band to RCA in 1992 when the band was still playing clubs in the northeast. A few years later he signed the Foo Fighters to RCA and helped bring Dave Grohl and his band to worldwide dominance. In 2002 Bruce traded the record business for the music business and joined Coran Capshaw to help build Red Light Management into one of the industries premiere management companies. Red Light’s roster now includes DMB, Phish, Tim Mcgraw, Alicia Keys, Ben Harper and others. As part owner of ATO Records, Bruce continues to serve as A&R for many of the labels artist such as Gomez and Alberta Cross. Several years ago Bruce and Coran started GreenLight Media which works with major brands such as AMEX, Gillette and Hyundai to develop unique content and music strategies. Bruce is based in Los Angeles. Michael Good is the inventor of the MusicXML format for exchanging digital sheet music between computer applications. MusicXML is now supported by over 140 music applications on Windows, Mac, Linux, and iOS, including Finale, Sibelius, and Cubase. It has become the most widely used symbolic music format since MIDI. Michael also founded Recordare in 2000 to grow the market for digital sheet music through the creation of a standard notation format. Prior to starting Recordare, Michael held technical leadership roles in computer-human interaction at SAP Labs, Xtensory (an early 90’s virtual reality startup), and Digital Equipment Corporation. He received his B.S. and M.S. degrees in computer science from MIT, with his B.S. thesis work conducted at the MIT Experimental Music Studio. Julia serves as Co-Founder & President of Eventbrite and helps direct the overall vision and strategy of the company. Julia is a reformed Television Network Executive and comes to Eventbrite by way of Hollywood. During her tenure in the television industry, Julia was a creative executive at FX Networks and helped supervise The Shield, Nascar Drivers: 360, Nip/Tuck, Rescue Me and It’s Always Sunny in Philidelphia. Songkick is a site for live music fans, and isnow the second largest live music destination after LiveNation. David Hyman is CEO & founder of MOG Inc., a next generation music media company founded in 2005. MOG’s award-winning, on-demand subscription music service provides unlimited access to over 10 million songs from over a million albums through its mobile apps, online, & on internet connected TV’s and Blu-ray players. MOG Inc. is also provider of The MOG Music Network (MMN), the premier destination for music content online & largest music advertising network. Jon Irwin serves as Rhapsody International‘s top executive. He joined Rhapsody America in 2009, serving as the venture’s chief operating officer and chief of staff before planning and overseeing the company’s spinoff into a standalone company earlier this year. Jocelyn Kane is Executive Director of San Francisco’s Entertainment Commission, which is charged with ensuring the health and vitality of indoor and outdoor entertainment venues in the City. As a trailblazer in the social media and digital marketplaces, Jamie Kantrowitz has worked with thousands of companies and artists to help them integrate new technologies to build their brands and communities. Kantrowitz is credited with launching MySpace‘s music and social entertainment platform and then MySpace’s international business into 30 countries from 2004-9. In 2010, she co-founded Gobbler with her brother Chris. Gobbler is an early stage software company building simple but powerful cloud collaboration, organization and backup tools for media creators. In conjunction with her role at Gobbler, Kantrowitz is an active start-up investor and digital media advisor. For her work at MySpace, Jamie was placed on AdAge’s “Top 50 Marketers” and Billboard Magazine’s “30 Under 30 to Watch”. She is a contributor to Huffington Post and ThinkSocial, and in her spare time she can be found on a food adventure in her home town of Los Angeles. Follow her @jamiesk. Andrew Keen is an Anglo-American entrepreneur, writer, broadcaster and public speaker. He is the author of the international hit CULT OF THE AMATEUR: How the Internet is killing our culture which has been published in 17 different languages and was short-listed for the Higham’s Business Technology Book of the Year award. 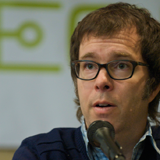 As a pioneering Silicon Valley based Internet entrepreneur, Andrew founded Audiocafe.com in 1995 and built it into a popular first generation Internet music company. He is currently the host of “Keen On” show, the popular Techcrunch chat show. Larry Kenswil founded and for ten years headed up the digital strategy and development unit of the Universal Music Group, eLabs. A long time denizen of the dark world of the major labels, Kenswil also ran Business Affairs at UMG, and served on the Boards of the RIAA, IFPI, and SoundExchange. Despite persistent rumors of an ongoing bout of PTSD from those decades, Kenswil is currently Of Counsel at the law firm of Loeb & Loeb in Los Angeles, where he helps those who wish to undertake the shock therapy of learning how to deal with entrenched music interests. He’s good at humorous sound bites for the press and conference goers, but he’ll never write a book because of his famous habit of never having written anything down. Dorothy Kidd is a professor in the Media Studies Department at the University of San Francisco. She is a long-time media producer in community radio, film & video, and web-news. Her research focus is the international movement for democratizing information and communications media, and her work has been published in many academic and trade books and journals. David Kostiner is a founding partner of Counsel LLP, a boutique entertainment law firm based in San Francisco. David began his career as a professional musician drumming in jazz clubs, later joining Dreamworks artists Creeper Lagoon and recording with other notables such as Matt Nathanson and Patrick Park. He later co-founded the Independent Online Distribution Alliance (IODA), was a sponsorship director for the Noise Pop Music Festival, managed internationally-known artists Rogue Wave and was an associate in the San Francisco office of Davis Shapiro Lewit and Hayes, LLP. David frequently appears as a panelist and public speaker, and has been published by the Hastings Communications and Entertainment Law Journal and the Santa Clara High Technology Law Journal. Mr. Kostiner’s practice includes the representation of musicians, record labels, music producers, songwriters, music publishers, visual artists, digital technology companies, music festivals and executives. He is responsible for negotiating and drafting agreements covering most aspects of his clients’ careers or businesses, as well as providing strategic guidance and informal dispute resolution services. David’s education includes a J.D. from the University of California Hastings College of Law, a B.A. in Psychology from Tufts University and studies at the New England Conservatory of Music, Boston University’s Tanglewood Institute and the Interlochen Arts Academy. He currently serves as an Adjunct Professor of Entertainment Law at Hastings College of Law. Dina LaPolt is an entertainment attorney at LaPolt Law, P.C. in Los Angeles, California. clients in the music, film, television, merchandising, fashion, and book publishing industries. Co-Founder, SocialGeni.us, Maker of AudioVroom. Chris LaRosa is Music Product Manager at YouTube, where fans and musicians connect through video. Since joining YouTube in 2007 he has worked across engineering and business teams building music features into YouTube and licensing music for user-generated content. Currently an accidental community radio activist, Kenya is normally a freelance writer and marketing strategist with over 15 years of experience creating compelling copy for cool companies, non-profits, and the occasional ad agency. Kenya learned about the “Left of the Dial” from The Replacements (and vice versa) and believes it is worth protecting — in San Francisco and nationwide. 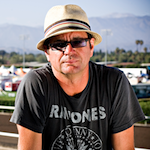 Kevin Lyman began his career booking bands for his university and as a roadie for then unknown acts such as the Untouchables, The Bangles and Bad Religion. Later, he worked as a promoter rep for seminal punk rock and metal bands, working in many of the legendary LA clubs. Lyman is best known as the creator of the Vans Warped Tour, the longest running music and extreme sports festival in the world today. In addition, he is also co-producer of the Rockstar Energy Drink Mayhem Festival, Rockstar Energy Drink Taste of Chaos Tour and Willie Nelson’s Country Throwdown. Larry’s focus is digital media and consumer services. He has been a Director at Pandora since early 2004 when Walden led the “rebirth round” to focus the company on launching a consumer-facing service. Larry is a Director at SoundHound (sound and voice search), Rootmusic (BandPage on Facebook), Telekenex (IP voice and data services ), a Board Observer at PowerCloud Systems and led Walden’s investment in Terayon (acquired by Motorola). and create direct-to-fan channels. Red Magnet Media’s clients include Linkin Park, Duran Duran and Hearst. Peter Maund is VP of Business Development for Legato Media, a leading provider of digital sheet music storage and distribution. Before joining Legato, Peter was Director of Business Development at Sibelius, where in 2000 he led the US launch of their online music publishing technology and oversaw its industry adoption. As a musician, Peter performs and records with early and contemporary ensembles throughout the US and Europe. He appears on more than 60 recordings (from vinyl to video) and has served on the faculty of the University of California, Berkeley. Robb McDaniels is the Founder, President and CEO of INgrooves, a leading digital media infrastructure company that provides audio, video and print content owners with access to a global network of digital retail outlets via its proprietary enterprise software application, ONE Digital. Robb has stood at the forefront of the physical to digital paradigm shift in the media industry and continues to execute upon his vision. Throughout his career, Robb has been an early adopter of new technologies and has been intrigued by the way the internet has changed media consumption and has shifted the power structure away from established media companies, which previously dominated what we heard, watched and bought. William Quigley joined Clearstone Venture Partners (formerly idealab Capital Partners) shortly after its formation and concentrates on the firm’s Internet and communications related investments. During his first three years with the firm, he worked out of the idealab! incubator and helped launch and lead investments in many idealab! backed companies including Homepage.com, FreePC, FreeMusic.com and Paymybills.com. A number of his early-stage investments have gone public, including MP3.com, Tickets.com, Emusic PeopleSupport and Meru Networks. William spent seven years in a variety of business planning and operational roles at The Walt Disney Company. His tenure at Disney included finance roles at EuroDisney, the Disney Store retail chain and Disney’s consumer products merchandise licensing division. He oversaw all finance and business planning activities for Disney’s licensing business unit, the world’s largest consumer products licensor. William also co-managed Disney’s merchant banking group where he negotiated and structured equity positions in the company’s strategic licensees. William is on the board of DealMaker LA, Founder’s Institute LA, and The Venture Capital Alliance of Los Angeles. He received his MBA, with distinction, from Harvard Business School, and holds a BS in Accounting, with honors, from the University of Southern California. He is a CPA and a Kauffman Fellow. Mr. Rennie has worked in the music business for over 30 years. 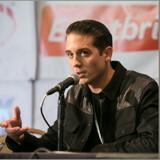 He has a broad range of experience as a concert promoter, record executive, internet entrepreneur, and artist manager. He has also been deeply involved in the intersection of music and technology since the earliest days of the internet. Mr. Rennie has been the personal manager for multi-platinum rock band Incubus for the last 13 years and has guided them from the day they got signed to a record deal to being a hugely successful worldwide record selling and concert attraction. From 1998 -2000, Mr. Rennie was a founding member of one of the early internet music startups, ARTIST DIRECT. From 1994 -1998 he was the Senior Vice President/GM of Epic Records/Sony Music where he worked with artists like Korn, Rage Against the Machine, Ozzy Osbourne, Incubus, and Celine Dion. At Epic Records he was deeply involved in the label’s artist development strategy including touring and the label’s internet and new media strategy. Prior to joining Sony Music he managed a number of Alternative Rock artists including Primal Scream, The The, Dramarama, The Wonder Stuff, and Ned’s Atomic Dustbin. From 1982-1990 he was the Senior VP at Southern California’s #1 concert promoter Avalon Attractions, which is now part of Live Nation, booking shows from clubs on the Sunset Strip to stadium shows at the Rose Bowl and Coliseum. As The Filter‘s CEO, David led the company’s turnaround from a music playlist app to a world leader in personalisation and relevance services for content – optimising search, navigation and discovery for customers that include NBC Universal, Nokia and Dailymotion. The Filter’s SaaS (Software as a Service) platform now delivers 1 billion recommendations to over 150 million people in over 35 countries every month. Digital-dna and sports social network iSporty. David has a proven track record in developing and leading business strategies that create high value returns. David is also co-founder of BathSpark, a pioneering localized social network for technology professionals in Bath, a mentor at the enterprise-boosting initiative Seedcamp, and was recently selected as a judge for the Daily Telegraph’s Start-up 100 awards. John Rudolph is the CEO of Bug Music, Inc., the largest independent contemporary music publisher in the world. His diverse career includes the fields of music publishing, copyright statute, technology and global finance. John is a champion of publisher and creator rights and is a member of the Board of Directors of the NMPA. John previously was CFO of Windswept Pacific, where he was also responsible for strategic planning, international consolidation, technology, online markets and creative signing. During his first year, he engineered the sale of Windswept to EMI for a reported $200 million in what was one of the largest music publishing transactions at the time. He founded and served as CEO of Music Analytics in 2001, the leading strategic advisor to music publishers and record companies working with a wide range of clients including Warner Music Group, Ryko, Leiber & Stoller and Saban Music Group, as well as numerous estates, artists, private equity and legal firms. Always at the forefront of change, in 1999 John founded Sherpa Ears, LLC, a technology company involving social networks that served as an early predecessor to social networking firms MySpace and Facebook. He began his career in corporate finance with IBM and, subsequently, as a consultant at BDO in Atlanta. Chris’ background includes co-authoring of the APML specification and co-Founding the DataPortability Project. Attention Profiling Markup Language (APML) is the industry standard for Attention Profiles. A machine readable presentation of a user’s interests. Used by Digg, BBC, NewsGator, France Telecom and others, APML is the OPML of Interests. The DataPortability project‘s mission is to advocate inter-operable DataPortability for users, developers and vendors. With official participation from Google, Facebook, Microsoft, MySpace, Plaxo and others, the DataPortability project is the organization that turned the data portability conversation into a full on riot. Dean Serletic has accumulated over 14 years of experience in the music industry with senior positions in artist management, major label A&R, music publishing A&R, and executive label management. Currently, Serletic is the President of Emblem Music Group where he oversees the record label, artist management, publishing and studio divisions. Prior to Emblem Music Group, Serletic served for four years as the Senior A&R Representative for Virgin Records America and produced more than 2.5 million album sales worldwide, the most new artist sales of any staffer. Prior to Virgin, Serletic was General Manager for Melisma Records and Round Tower Publishing. He helped structure a joint venture label arrangement between Melisma and Arista Records and developed an up-start publishing company that produced two #1 and several Top 10 radio singles. Matt Serletic creates hits. Formidable as both a music executive and a creative talent, Matt has written, produced, and marketed recordings that have sold in excess of 110 million albums and have generated more than $1 billion in revenue for major label companies. Over a 14-year career, Matt has written and produced records that have earned him multiple GRAMMY, ASCAP, BMI, Billboard, and CMA Awards, and his projects have been licensed by a multitude of major television networks and media companies. Matt produced the most successful Billboard chart single in the rock era to date: Carlos Santana’s “Smooth,” which, since its release, has sold 25 million units. Matt’s first music company, Melisma, was founded in 1996 and has sold in excess of 50 million albums with artists like Rob Thomas and Matchbox Twenty. Owing to his success at Melisma, Matt was hired as Chairman and CEO of Virgin Records America, where he became the youngest-ever head of a major label. Over a four-year period, he successfully reorganized operations and improved the bottom line by $240 million. Matt is now Owner and CEO of Emblem Music Group, a recording and publishing company, and Co-Founder and CEO of Music Mastermind, Inc., an entertainment technology company. Digital media entrepreneur Albin Serviant joined innovative interactive music technology developer MXP4as CEO in 2009, sharing the company’s vision of the future of digital entertainment. In his current role, Serviant is responsible spearheading development and adoption of MXP4’s social music gaming solutions. Under Serviant’s leadership, more than 150 major recording artists including David Guetta, Michael Jackson, Pink, Pet Shop Boys and Britney Spears and major brands including Air France Music and Coca Cola have used MXP4-powered Web and iPhone interactive music apps to build fan engagement, encourage viral distribution and drive sales. MXP4’s first social gaming solution for Facebook, PUMP IT, reaches over 65 million fans across the social networking site. The company’s products have also been integrated into offerings from major media properties like Last.fm. Vidya Shivkumar runs product management and product marketing at Janrain, the provider of user management solutions for the social web. Janrain works with leading music entertainment sites such as MTV Networks, VH1 and record labels such as Universal Music Group and EMI to power social features for artist sites such as Lady Gaga, Justin Bieber, Keyshia Cole and others. Prior to Janrain, Vidya worked at Aol, iovation and DataMotion where she launched several successful B2C and B2B services such as web search, consumer anti-virus and firewall, email encryption and online device reputation. For the past 14 years, Beth Sorensen has been a driving force for the creation of the Finale family of notation products. She started at MakeMusic, Inc., as a programmer and engineer, became the product manager for the notation product line in December 2010, and this past February was named vice president of engineering for all of MakeMusic’s product development. MakeMusic is the creator of Finale, the world’s standard in music notation, PrintMusic, SongWriter, Finale NotePad, and the Finale Reader, as well as SmartMusic interactive software, which transforms how students learn and practice music. Peter Su is an associate at DCM, focusing on compelling consumer and social experiences on web and mobile. Peter is responsible for sourcing and evaluating early stage investments for DCM. He also works with various DCM portfolio companies like NoiseToys (sourced), Mig33, Vindicia, and AdKeeper. Previously, Peter was an investment banker at Goldman Sachs in their TMT group in San Francisco. At Goldman Sachs, Peter worked on various M&A and IPO transactions in the technology space. His clients included large cap and private tech companies such as Yahoo! ($44B raid defense against Microsoft), Adobe ($1.8B acquisition of Omniture), PGP ($300M sale to Symantec), Rackspace (IPO), and Convio (IPO). Between DCM and Goldman Sachs, Peter worked at Maybe Mars, an indie rock label in Beijing, and at City Weekend as a contributing writer. Peter graduated with High Honors from UC Berkeley, with a B.S. in Business Administration from the Haas School of Business and a Minor in Music. Daren Tsui is the CEO and co-founder of mSpot, Inc., which he founded in 2004. One of the early pioneers in the cloud-based entertainment field, Tsui led mSpot’s charge to be the first mobile music service in North America to stream a “full format” radio service that includes news, sports, finance, talk and music channels; mSpot continued this forward-thinking philosophy by becoming the first service to stream full-length feature films to mobile phones. Tsui continued to break new ground with the launch of mSpot Music, a first of a kind, music-in-the-cloud service. Today, with more than 6 million paying subscribers, mSpot provides a multitude of entertainment services ranging from radio, music and movies to sports. A veteran of four start-ups, Tsui was previously president and co-founder of SkyGo, a global mobile marketing technology company that provided integrated brand and direct marketing services, which sold to Enpocket in 2003. Tsui has spoken at many leading industry conferences including; CTIA, MidemNet, Digital Music Forum, MusicTech Summit, Digital Hollywood, CES and more. Neil Vineberg represents ThingLink in the U.S. He is a seasoned PR guru and strategist, having held management and partner positions with leading communication firms including Vineberg Communications, Middleberg Euro and Golin/Harris. Neil’s successes include pioneering strategic work with visionaries in MP3 digital music, social media, online communities and technology. His experience spans the technology, B2B, consumer, digital entertainment and philanthrophic sectors, including engagements with Webshots, Jaiku, Sprint, MP3.com, eMusic, UNICEF, UNDP, Procter & Gamble, Attention Span Media, United Airlines, IBM and Sony. He has been a featured speaker on digital PR and social media at MacWorld, BlogWorld, and Sun Startup Camp. 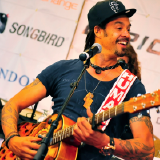 Also an acclaimed guitarist who performs as Shambhu, his debut CD, “Sacred Love,” was nominated Best Album of the Year and Best New Artist by radio broadcasters worldwide. Eric Wahlforss is founder and CTO of SoundCloud, the audio platform that enables anybody to upload, record, promote and share their sounds on the web. Frustrated by not being able to share music files easily over the internet, Eric along with CEO and co-founder Alexander Ljung, decided to build a truly open platform for audio creators. In his role as CTO, Eric leads the technical development and vision of SoundCloud, including driving usage of its open API by third-party developers. There are currently more than three million registered users and this number is growing exponentially. Prior to that White acted as Sr. Director of Project Management and Executive Producer for new media consultancy CKS. Shoshana Zisk is co-producer of the SF MusicTech Summit. Shoshana earned her bachelor degree in Classical Piano performance from the University of Miami School of Music, and is currently serving as Musical Director for “Rent” in Hollywood, California at the Hudson Theater presented by Jerica Productions. All are welcome to join an enlightening discussion with industry thought leaders for a productive exchange of ideas and opinions.